Learning Circle Preschool, serving children aged 2.9 – 6, is accredited by NAEYC (National Association for the Education of Young Children). The school offers two, three, or five day morning preschool programs, afternoon enrichment programs, and extended day hours to 4:30 p.m. Set at the foot of the Great Blue Hill, the facility houses three spacious classrooms and a state of the art playground in a natural setting. The school features a highly individualized, creative, and engaging curriculum that follows best practice guidelines developed by Massachusetts as well as those developed by the National Association of Educators of Young Children. 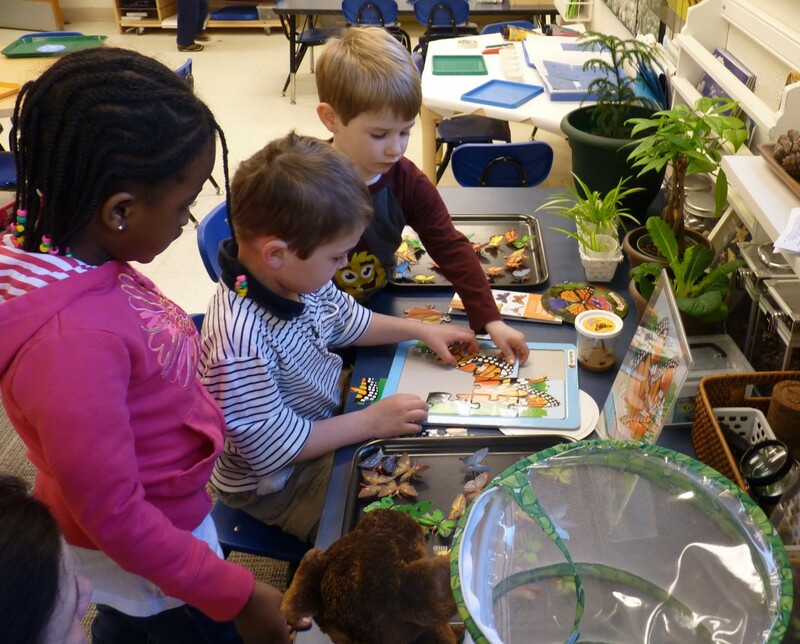 The Learning Circle’s Goldfinch class accepts older preschool and Kindergarten children. Those who are not yet eligible for a public school kindergarten may benefit developmentally from a transitional class. Children may also use this program as a Kindergarten and transition directly to first grade the following year if they are age-eligible. Learning Circle uses a project approach in curriculum development that is inspired by schools that developed in Reggio Emilia, Italy. Children enjoy engaging, hands on experiences that build a strong foundation for learning with individual attention and project work in small groups, respectful and nurturing interactions, opportunities to plan, reflect on, and work on projects over time, and an integrated language arts, creative arts and science curriculum. Parents enjoy on-going communication, detailed documentation of each child’s growth and development shared in a portfolio system, newsletters and other written information about the program distributed regularly, parent meetings and discussion groups on educational and parenting issues, and a welcoming attitude towards parent participation in the program. Class sizes range from 10-14 students, each with two highly qualified and experienced co-teachers. Decisions about placements for the fall of 2019 began being made in December 2018, and will continue on a first-come first-serve basis for any remaining spaces. For more information or an appointment, please call the director at 781-828-4800, email the school at info[at]learningcirclepreschool.org or use the form on this website Contact page. Prospective families are always welcome to visit the school. Informational visits, held during school hours, give parents and children a chance to meet with the director to talk about each family’s specific needs, and to see the classrooms while children are in session. We are beginning enrollment for this year's Summer Arts and Sciences program and for the academic year starting September, 2019. Please follow this space for more information, or get in touch with us directly using the Contact form. We'll get back to you soon! There are limited spaces available beginning September, 2019, including 2-day and 5-day spaces for preschoolers. Please email or call the school for information and to arrange a visit, or use the Contact form.